This article will show you how to create and use custom lead sources to help measure the effectiveness of your advertising campaigns. Examples of lead sources may include Sphere of Influence, Realtor.com, Google AdWords, etc. 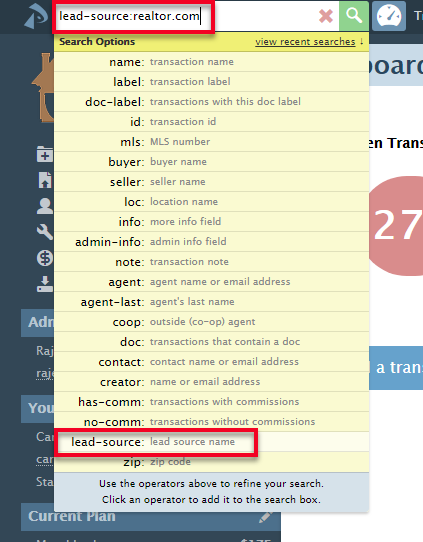 You can view lead sources on reports and even search for transactions by lead sources. Click Lead Sources from the left menu. Enter the name for this lead source then click [Add Lead Source]. Click the gear to the right of the lead source and select Rename. Create or edit the transaction and select the desired buyer and/or seller lead source. If you currently use Transaction Labels to track lead sources, we strongly recommend converting your account to use lead sources instead. Contact us at help@paperlesspipeline.com if you need assistance converting your labels to lead sources. Once you apply lead sources to transactions, the Transaction Spreadsheet downloads will include lead sources. Click in the search box located at the top left of every page. 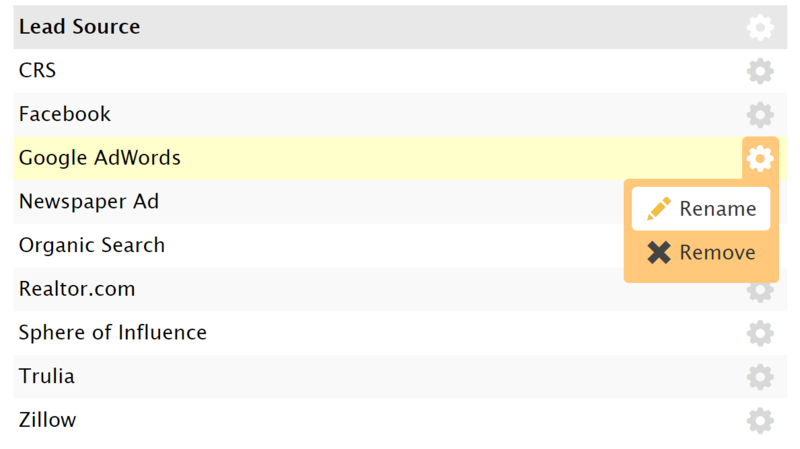 Select lead-source from the dropdown menu, then type all or part of your lead source in the search box. Click the green search icon. This webinar covers how to set up and track lead sources in Paperless Pipeline, including the various ways to manage and report on them once they've been applied.